Studies show losing fat takes time and patience. But what if you have neither? What if your beach holiday is now weeks away or you’ve a friend’s wedding round the corner and that fitted suit in the wardrobe now feels a little too snug around the stomach? Well, never fear. Recent studies show there are changes you can make to your kitchen habits and gym routine to burn fat faster. From changing the pace at which you eat to taking your workouts outside and making them al fresco, this is how you can Burn Fat Faster with 6 Small Lifestyle Changes. Some are easy, some are hard, but all are proven by studies. If you’re goal is to lose fat don’t waste your time with small isolation movements like single bicep curls or a session on the Stairmaster that mainly taxes the small calf muscles. Why? Because — generally speaking — the bigger the workout the more fat you will burn. This is based on a study published in the Journal of Applied Physiology that tracked an athletes energy expenditure and metabolism after heavy resistance training. 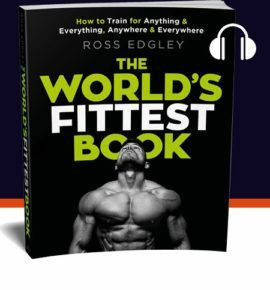 What scientists found was after a 90-minute training session — of squats, bench, Olympic Lifting and deadlifts — fat loss and metabolic activity in all subjects (pleasantly) skyrocketed. to move as many body parts as possible. Whenever possible leave the warmth and comfort of the gym. 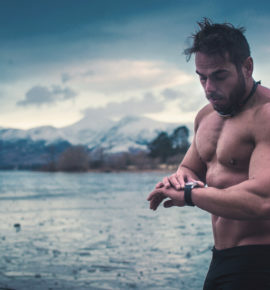 Instead take it outside and embrace Mother Nature’s cold wrath since research from the Journal of Medicine and Science in Sport and Exercise found the cold conditions could increase the rate at which we burn calories during exercise. Basically same exercise routine, different temperature, more fat burnt. Learn to make your own sports drinks. Whether in the gym, on the road or at home if you understand exactly what does into your sports bottle then studies show that gaining fat becomes avoidable and fat loss becomes drinkable. No seriously. This is based on research from Harvard Medical School that claims certain sports drinks are making people fat because people are sitting at their desks at work are consuming these carbohydrate-dense formulas and not using them like they’d originally been created. To fuel the hours of intense training that many professional athletes subject themselves to. So, what fat burners should take before training? It’s one of the oldest supplements around but taking a simple caffeine tablet has been shown to enhance the burning of fat by creating a more favourable intracellular ionic environment in active muscle according to scientists from the University of Guelph in Ontario, Canada. So try taking 60mg before training and enjoy an increased rate of fat oxidisation for the duration of your workout. Learning to cheat on your diet. This will be the easiest and most effective tip if used correctly, but I must emphasize the words, “if used correctly”. See, to lose fat you must “burn” more calories than you use. It’s calories in vs. calories out and is the basic law of thermodynamics. But too many calories out for too long and your body begins to down regulate your fat burning hormones and holds onto fat thinking there is a famine is coming. This is based on research published in the American Journal of Physiology that analysed the effect calorie restriction has on our thyroid hormones such as T4 and T3. These 2 hormones play a key role in the management of our metabolism and what scientists found was that “during caloric restriction, transport of T4 and T3 into tissues is diminished”. The conclusion basically suggested that eating like a squirrel on a diet will leave you’re hormonally handicapped to burn fat. However, swinging to the other end of the spectrum appears to offer positive effects. Research published in nutritional journal Effectors of Thermogenesis states that, “serum thyroid levels are increased by over nutrition.” So, a huge, tactical homemade burger or a well-timed mountain of cheesecake can in fact serve to regulate your fat burning hormones and get your metabolism firing correctly. Obviously what we cook is of huge importance when trying to lose fat. But perhaps what needs more emphasis is how we cook. This is because scientists recently compared blood samples to see how the body processes freshly cooked and reheated pasta differently. What did they find? Amazingly the re-heated pasta was better for our waistlines. It’s theorised this is because reheating carbohydrate-rich foods will change their basic structure and make them appear more like a healthy fibrous vegetable. This in turn means there’s not the normal surge in blood sugar levels associated with carbohydrate-dense foods. This is especially important when trying to lose fat since that surge in blood sugar is — according to scientists from the Human Nutrition Research Centre — partly to blame for weight gain and uncontrolled cravings. Finally, it must be noted that studies on cooking methods aren’t yet conclusive and will vary from food to food. But it does mean there might be value in re-heating those leftovers from the weekend’s pasta bake. We’ve all heard of fast food, but what about slow food? Research published in the Journal of Epidemiology analysed eating patterns in 3,737 men and 1,005 females and found a very strong correlation between people’s speed of eating and body fat. Put simply, the faster people ate the bigger they tended to be.